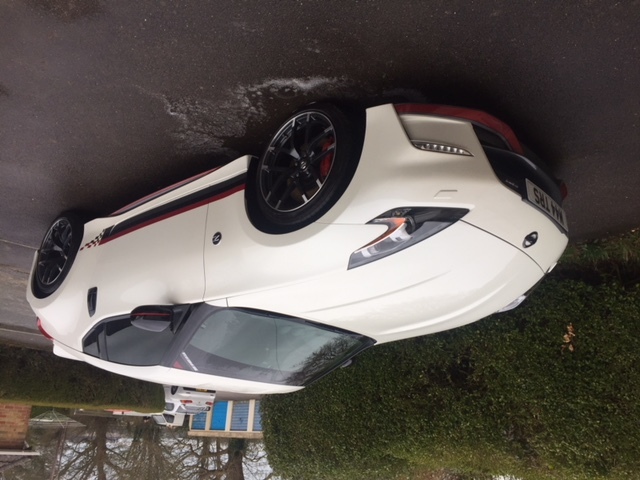 MY17 370 Nismo - just collected! 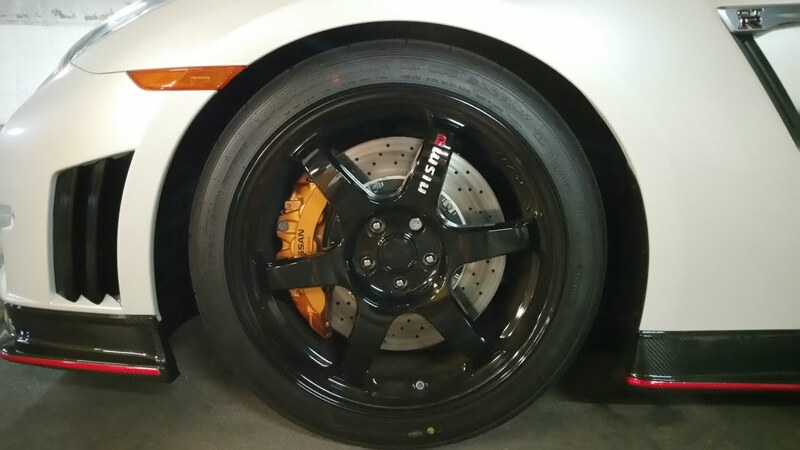 They look amlost like GTR Nismo Wheels? And finally I found a hidden mod Sunday morning (pic below). The joyous Shipping spacers that the PDI "technician" decided to leave on the car for me. My technician, and many others it would seem, cannot read. I will however tell the other 2 guys that bought Nismo's from the same dealership as me, at the same time. They will no doubt also have them. 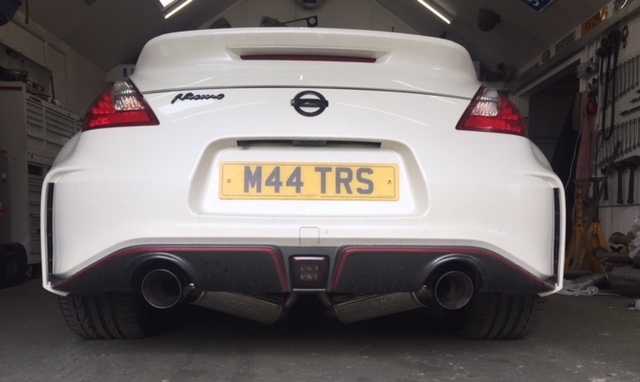 I spoke with the other 2 Nismo owners and advised they get their cars checked over due to the balls-up on mine. Luckily both of their cars were fine, so no drama for them. Word of the problem got back to the PDI technician, and when realising the **** up he said 'Well....I definitely remember removing the shipping spacers from 2 of the 3 Nismo's we prepared' !! So, I was just unlucky to have the third one that didn't have spacers removed. But I mean.....seriously! If you were fully aware that you left spacers on 33% of the Nismo's you prepared you would raise it and get them checked?! But, then I'm giving the guy too much credit I think as it's the same guy that screwed the number plate into my front bumper! Looks to be a small piece of steel bar, it was maybe 10-12mm diameter, which I guess explains the sudden pop and loss of pressure! With such a large hole in the tyre the can of gunk would be no use. 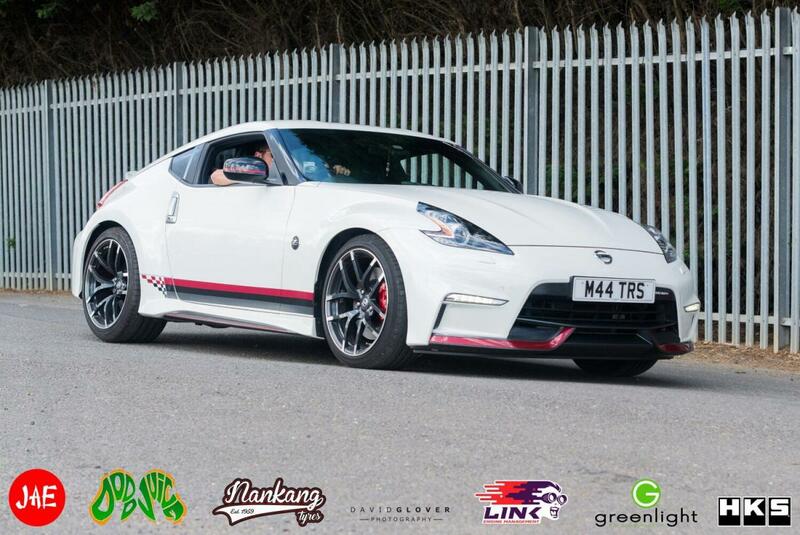 So I started making some calls and no-one had a tyre same day...and I wasn't too keen on leaving the Nismo on the side of the road for a few days! Unbelievable! I'm pleased you've got those things sorted out. Again, dealers and manufacturers have got to take a good look at themselves on many fronts. In particular, drivers have got to start voicing their rejections to just having Gunk as a flat tyre fix. Some might argue that not carrying around a spare wheel saves a few kilos, and reduces emissions a bit in theory, but with the increasing amount of debris on and potholes in our roads it's very easy to be left up a certain creek without a certain instrument. I've got a Juke spacesaver wheel and jack kit for sale! Long overdue update on my time with the Nismo. Now owned for 14 months and still enjoying each drive! Towards the end of last summer I had the door handles painted black, and fitted black Z badges in place of the silver Nissan ones. No pics of this but will sort soon. After testing the water with an eBay decal I decided to go it alone and make my own. Ordered up 3 separate strips of red, black and gun metal and got to work. A lot of help from a good buddy of mine with making sure it was all straight, and the best way to make the chequer effect after the door. But generally very pleased with them! Seem to be lasting well too after 6 months of life. Love the stripes. Well done. Looks good. You should sell them as a decal pack. Good job on the placing of those stripes - they really enhance the look of the car (and you can't say that about most body graphics). Les I did toy with creating these as kits but as they were made from 3 colours it would be super time consuming. 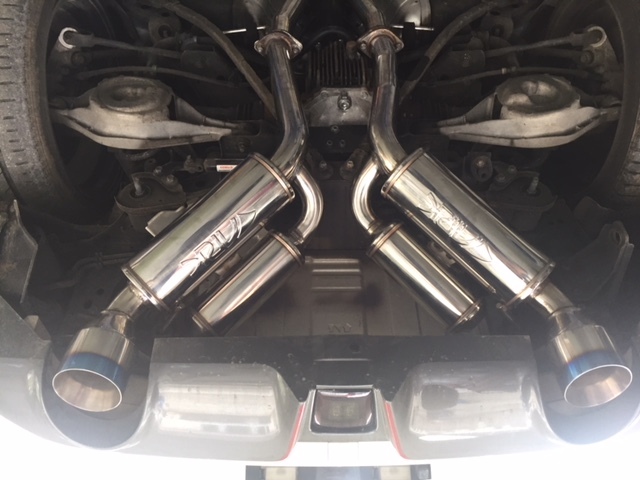 Semi happy Easter to me.....Box 1 (of 2) of my new exhaust arrived in the post today. Box 2 is still up north at a sorting facility! However, once it all arrives I will be (again) the proud owner of an Ark Gip V2 system! Can't wait! The Berk Tech CBE will be up for sale shortly after. Also pics of black handles and badges. Will try and grab some sound when the weather improves too. If anyone is interested in the Berk Technology CBE shoot me a PM. Edited by mattross1313, 09 April 2018 - 11:43 AM.